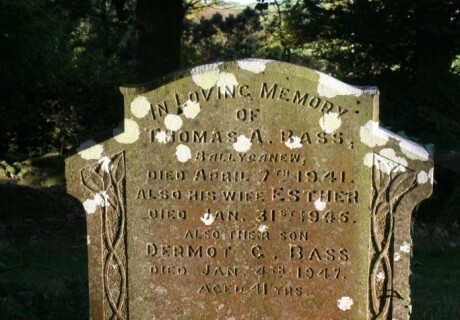 In loving memory of Thomas A. Bass Ballycanew died April 7th 1941. Also his wife Esther died Jan. 31st 1945. 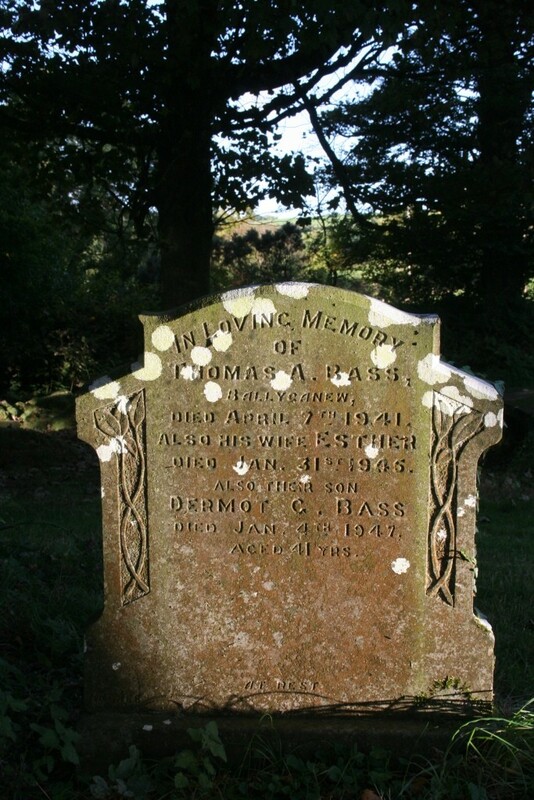 Also their son Dermot G. Bass died Jan. 4th 1947 aged 41 yrs.